Fine Gael Kildare South TD, Martin Heydon, has today welcomed the report of the Independent Expert Panel appointed by Minister for Communications Energy and Natural Resources Alex White to review the options being considered for the Gridlink route by Eirgrid. “The Independent Expert Group have confirmed that there is no need for further analysis of the overground or underground options for the Gridlink route which stretched from Cork through Wexford to Dunstown in Co. Kildare. They are satisfied that the third Regional Option identified by Eirgrid is capable of satisfying the needs of the route. The ‘Regional Option’ uses technology called “series compensation” which is capable of strengthening the existing grid in the region without building additional overhead infrastructure. 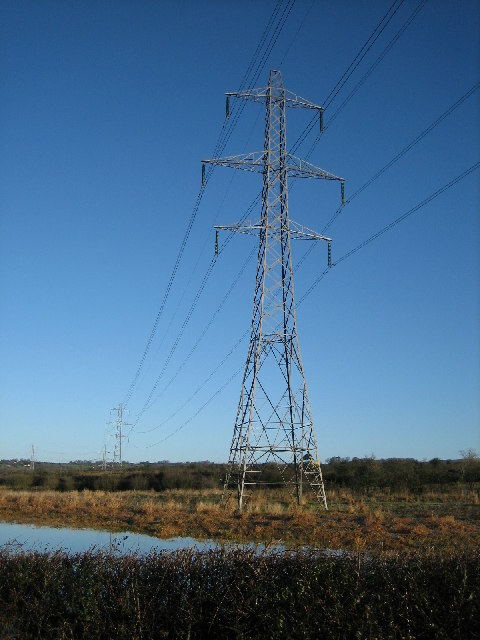 Series Compensation is a new efficient technology, never used in the Irish transmission grid before which can increase the power that can flow through existing lines without the need for new high voltage 400kv power lines. “I am delighted that the overground option has now finally been removed from the debate which will be a huge relief to all residents in the areas affected. “I compliment all community groups and stakeholders who worked to achieve this solution which seems to alleviate the fears of many local and rural communities. In September, we submitted a Report on the Grid Link project to the Government-appointed Independent Expert Panel. Today, the Independent Expert Panel issued its review of our Report. Our report sets out equal analysis of three options which meet the need of the Grid Link Project- an overhead, underground and ‘Regional Option’. The ‘Regional Option’ uses technology which is capable of strengthening the existing grid in the region without building additional overhead infrastructure. We first detailed the ‘Regional Option’ in March 2015, in our ‘Your Grid Your Views’ draft grid development strategy. It uses a technology known as ‘series compensation’, the first time this will be deployed on the Irish transmission grid. It is an advanced, smart grid technology that will enable more power to flow through existing lines, and so does not require new 400 kV overhead lines. To complete this solution, an underwater cable across the Shannon estuary is required in addition to some upgrade works to existing transmission lines. Our Report on the Grid Link Project recommended pursuing this option, as it is stronger across the technical, environmental and economic criteria outlined on our report. The Panel are satisfied that no further analysis of the overhead and underground solutions is required. We will now be moving ahead to develop the Regional Option. A summary of our report on the Grid Link Project to the Independent Expert Panel can be found here. The report itself is available at this link. For further information please contact us on 01 2370479 or by emailing us at oireachtas@eirgrid.com.